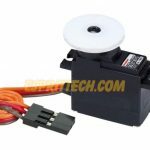 If you have viewed our site recently, you may have noticed that we now carry a total of four different series of Graupner servos. 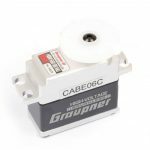 Although each series offers a slightly different performance factor, ALL of the Graupner servos we have are programmable! Simply download the software suite found here, and update your servo firmware via the cable (coming soon). After installation go to the link tab on the bottom and look for the servo setup link.